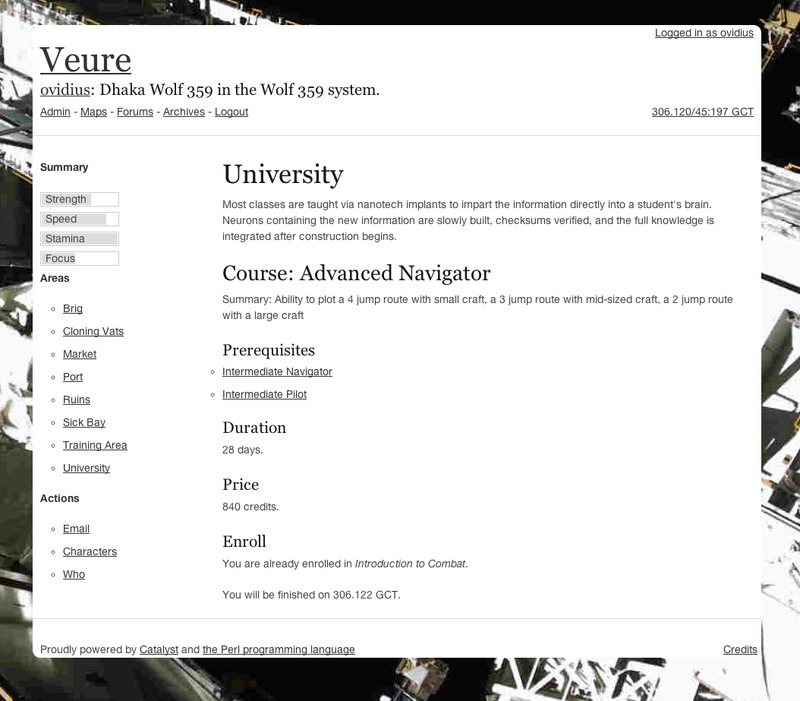 I'm currently working on the education system for my browser-based science fiction game, Veure, and things are coming along nicely. I can only work on it part time as I have another contract that actually pays the bills. We've also hired a very talented developer who's been helping me clean up many areas of the game which have heretofore been problematic. The "Advanced Navigator" course display.